It only took a matter of weeks after the original version of Windows 8 was released for rumors regarding Windows 9 to make it to the public. Although the company is focussed on an update for Windows 8.1 as of right now, Windows watcher Paul Thurrott is reporting that the company has bigger plans which include a release of Windows 9 sometime around April 2015. If Thurrott is correct in stating that Windows 9 will be released in April 2015, the new operating system will also be announced during Microsoft’s annual Build conference in April 2014 at which point, Microsoft may officially announce a release date for the OS. Microsoft has reportedly recognized some of the criticisms of Windows 8 as being things that either need to be fixed in an update for Windows 8.1 or in Windows 9 further down the line. 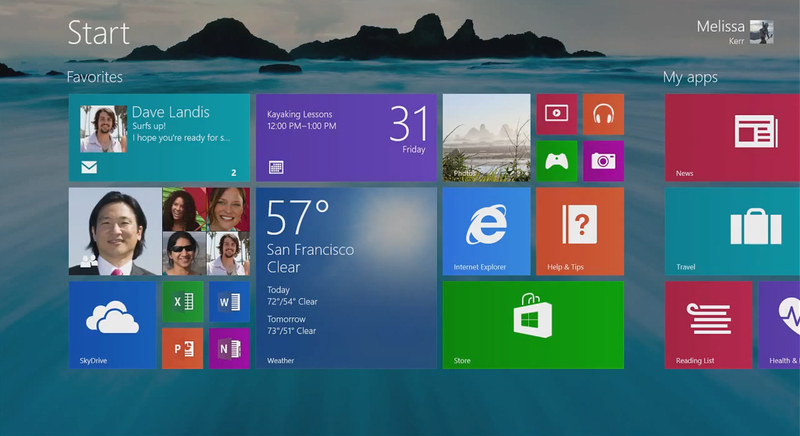 One of the major things that will supposedly come in between now and April 2015 is a full return of the Start Menu, although earlier rumors suggest that it is more likely that Microsoft will include this change in an Update for Windows 8.1 rather than in an entirely new operating system next year. Even with Thurrott’s report, there is very little known of Windows 9 other than a potential release date. As a result of the Windows 8 criticism, Microsoft may look for a way to run “Metro” apps in a way that is similar to traditional Windows, which would include allowing them to run in separate windows. Windows 9 is still more than a year away, so focussing too much on Thurrott’s report is likely not a good idea. That being said, when looking at previous release dates for Windows and the amount of time that Microsoft takes in between iterations of the OS, a mid to late 2015 release date may make a lot of sense. Microsoft will reportedly build Windows 9 with three major development versions before coming out with a full and stable version of the OS, although it is unclear how many of these development versions will be made available to developers prior to the public release. Summary: At least one new report suggests that Windows 9 will be released by Microsoft sometime around April 2015, with an announcement coming during this year’s Build conference in April. Windows 9 will include a return of the start menu and a major re-working of the Metro UI and its applications, in response to criticism of Windows 8.